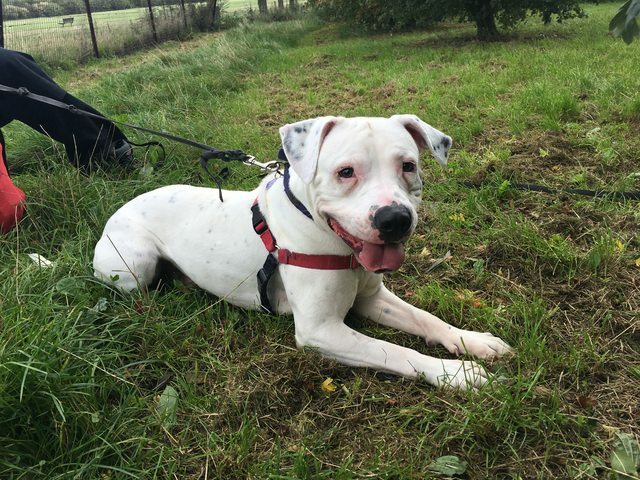 Percy is a sixteen month old male Staffordshire Bull Terrier and American Bulldog crossbreed. 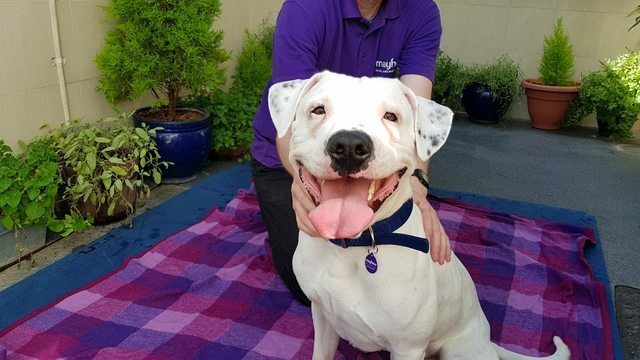 He arrived at Mayhew after being found abandoned on the streets. Gorgeous Percy’s a very friendly boy who gets along well with everyone he meets. 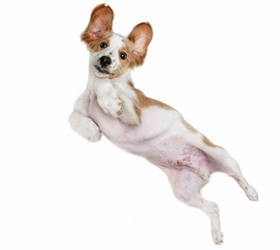 Super playful, he sometimes gets a little over-the-top in play but he’s now starting to learn manners. He’ll thrive with someone who has the time to continue his training. Percy is looking for an experienced owner ideally with experience of Bull breeds. He’ll need a home where there is someone around for most of the day, he can live with children from sixteen years of age upwards but he’ll need to be the only pet in the home. Percy’s new owners will need to be fully prepared for the hard work and long term commitment involved in owning a dog, they’ll be taking on an fourteen year commitment which must not be taken lightly. Percy is hoping you’ll consider him!